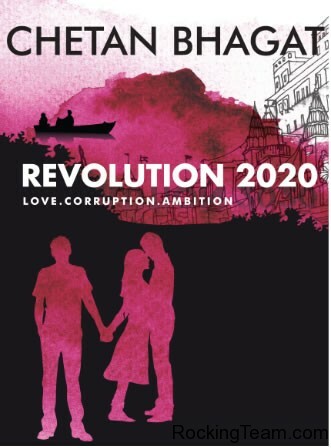 Revolution 2020 is most talked fifth book by Chetan Bhagat, best-selling author of his previous four novels ‘Five point someone, Night @ call center, Three mistakes of my life and 2 states’. R2020 is a story of three childhood friends – Gopal, Raghav and Aarti. Each one has their own ways to achieve success, fame and bring Revolution in India by 2020. You may ask, so what, this is another Chetan Bhagat book which will include college, IIT and all, No, Chetan Bhagath this time come out of college (IIT) stories and attempted some thing new and serious this time. Serious because, the story shows how our education system is corrupted till the neck, how our government offices works, it has scams and how people who want to change the system get into the trouble. The story is narrated by the Gopal’s perspective, where he tells his saga of life. The story revolves around three best friends from school. Gopal – Who wants to make money using his intelligence. Raghav – Who wants to bring the Revolution by using his intelligence. Aarti – is the girl they both fall in love with. This is the second novel, in which I noticed that authors don’t wants to give exact dates of the events in the book, instead they give you the names of the movies. Like in this book, you will see the names like ‘Main Hoon Na, Chak De India, Rock On’, you need to figure out the dates when the events are happening in the book based on the release dates of the movies mentioned in the book. This book from page one will make you glued to it till end, it will take you to the Journey of Gopal’s Life, how much he faced the problems to make it to IIT or NIT, how he faced problems with setting up the college or proposing the girl he LOVED the must in the world. The book talks about our education systems and how system can be twisted by using the power of ‘white envelope’. The Character development of Gopal is pretty awesome as he is the main protagonist in this book, where as character development of Raghav and Aarti lack the details. Chetan Bhagat has handled the love triangle pretty amazingly, considering his previous books which doesn’t had any kind of love triangle. Welcome to Revolution 2020. A story about childhood friends Gopal, Raghav and Aarti who struggle to find success and love in Varanasi. However, it isn’t easy to achieve this in an unfair society that rewards the corrupt. As Gopal gives in to the system, and Raghav fights it, who will win? Overall, A real page turner and great story and a must read, go ahead and do read it. And by the way, Chetan Ji, Gopal is indeed a good person! Some times in the evening of Dec 7 2009, Chetan Bhagath, Indian author threatened to block two people from his twitter account who doesn’t agreed with his point of view. Chetan Bhagath was having a talk with a journalist on books and piracy, when he received some tweets which didn’t gel with him. The outcome is he threatened to block two people from his account (I don’t know for sure, he actually blocked them or just told them that he will block them), creating massive surge of tweets related to this incident with the hashtag #chetanblocks. This was a trending topic for at least few hours on twitter. Personally I think, I can block anyone if I want to because Twitter is providing us the facility to block people. Then what is wrong if he blocked two people from his account ? @chetan_bhagat: almost anyone who is reading my pirated books can afford the original. It hurts me a lot personally. Just sharing. @chetan_bhagat: Piracy kills publishers, esp domestic literature. Gives incentive writers to move westwards. Don’t do it if you care for Indian creativity. @chetan_bhagat: At a broader level, a society that doesn’t respect intellectual property never excels at innovation. See what kind of India u want. @flyyoufools: @chetan_bhagat Tying everything to India’s progress today, aren’t we? @flyyoufools: @chetan_bhagat In a bad mood today, aren’t we? Let me guess: Royalty check came in? @chetan_bhagat: @flyyoufools buddy, one more smart one and u r blocked. ok? @jojiphilip: @chetan_bhagat Don’t blame the consumer. If he/she gets the product at a fifth of its cost, they have every right to pick it up. @chetan_bhagat: @jojiphilip if i can access your bank account, i have the right to steal from it? @jojiphilip: @chetan_bhagat Piracy happens only when there is huge gap between d market cost & buying it otherwise. Greedy publishers plz note! @jojiphilip: @chetan_bhagat There is a nexus between cops, illegal printers & publishers who r responsible for piracy.Attack d system,not the consumer! @chetan_bhagat: @jojiphilip nobody is greedy. if u cant afford it, dont buy it. do u steal cars if u cant afford them? @jojiphilip: @chetan_bhagat No, i don’t steal cars, but if someone was offering me one for Rs 1000, i wud buy it. blame the guy who is offering me this. @jojiphilip: @chetan_bhagat as a consumer i have done no wrong-i’ve paid the guy on the street corner my hard earned Rs 100 & i did not steal it from him. 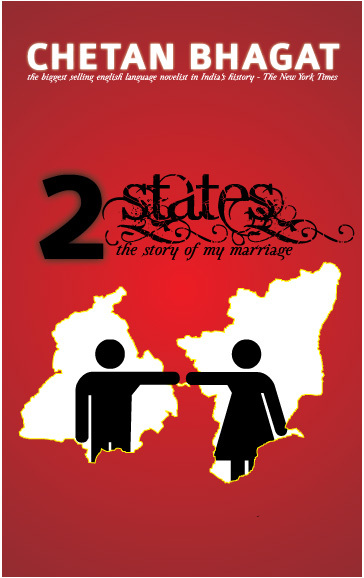 @chetan_bhagat: @jojiphilip u have. ask a lawyer. and one more defense of illegal stuff and will block u. ok? Finally.. these events started #chetanblocks hashtag.